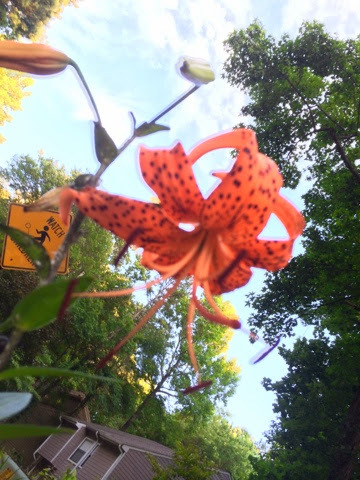 An Asiatic Lilly, which I found in one of the yards down the street. I remember that they use the term, 'negatively heliotropic' and 'positively geotropic', to refer to plants that don't grow toward the sun. 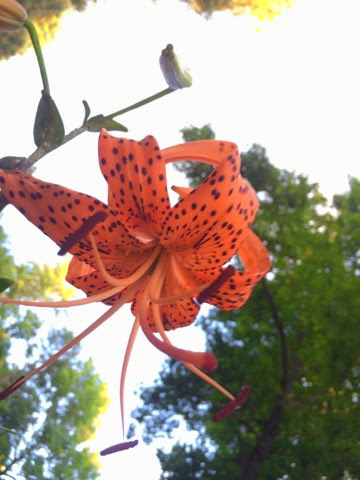 Irrespective of the title, this is one beautiful flower and the iPhone did a reasonable job of capturing its beauty.